This post is part of a series on the Traveling the Denali Park Road – to read the series from the beginning, click here. There are roads and there are Roads, there are roads much traveled and roads less traveled, there are roads to great cities and even, if you can imagine it, roads to lost and invisible cities, and then there’s the Denali Park road. 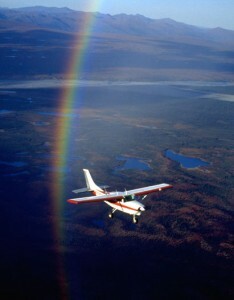 Warbelow’s Air Ventures is the premier air tour operator in Interior Alaska conducting tours year-round throughout the exciting wilderness of Alaska.